Monique Nolk is the Vice President and Worldwide Head of Alliances at Hewlett Packard. She has extensive experience in shaping and negotiating complex deals, leading change and transformation initiatives, and connecting and influencing multiple functions and levels of an organization. In her previous role, she was the Vice President of Operations and merger and acquisition integrations at HP, where she led the integration of the $3B Aruba network acquisition. In this episode, Monique reflects on her current role and breaks down the components of successful alliance and negotiation tactics, where working towards building mutually beneficial outcomes is of the utmost importance. Aviv and Monique discuss the nuances that must be balanced in order to achieve win-win scenarios for both parties involved. 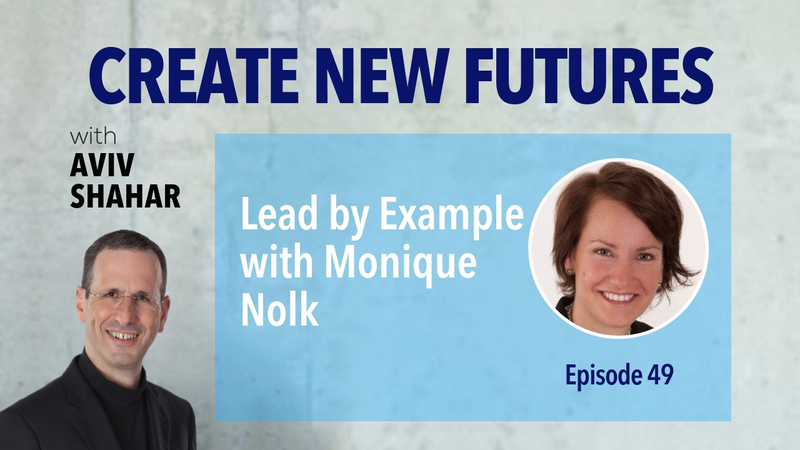 Monique shares the insights she has gained over the course of her career to a provide a detailed roadmap on how to arrive at these win-win scenarios. Her strategies include understanding the needs and objectives of those involved in the scenario, simplifying the complex, making the process personable and helping others to navigate through the scenario. Monique is a proponent of fact-based management, as it eliminates emotions that may potentially cloud judgement. Aviv and Monique also define leadership styles and philosophies that they believe are key to success. Finally, Monique offers the importance of treating people with compassion, regardless of culture, age or background. 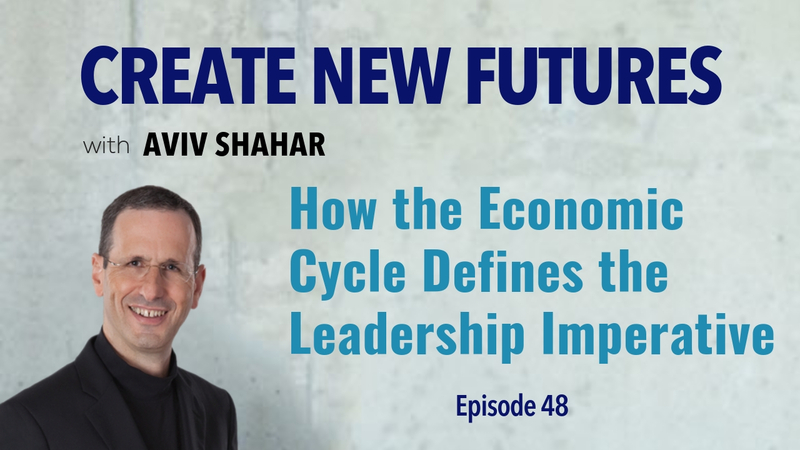 In this episode, Aviv identifies three leadership imperatives and explains them in the context of an economic cycle. These leadership imperatives include strategic innovation, operational excellence, and people development. Aviv shares his observation that strategic innovation is the natural focus when big opportunities and new technologies are introduced at the beginning of an economic cycle. Conversely, in the late phases of the cycle, the focus shifts to efficient execution and operational excellence. Finally, developing people and empowering them to take great ideas and execute them is also a vital throughout the economic cycle. In summary, Aviv provides listeners with a few competencies within each of the three leadership imperatives with the hopes that evaluating proficiency in each one will lead to personal and professional development and catalyzed growth. Glenn Mattson is the CEO of Mattson Enterprise Inc., a consulting firm specializing in sales and management productivity and effectiveness. He leads a team of consultants who provide solutions to agency leaders and sales people facing the challenges of achieving extraordinary success in highly competitive and overcrowded markets. He is also a successful keynote speaker, a gifted and respected platform trainer and author. His true passion, however, is coaching which allows him to help his clients understand where they are going and how best to get there. In this episode, Aviv and Glenn discuss the myriad of ways to achieve, measure and sustain success. They talk about the importance of embracing challenges, setbacks and failures, as they are part of life and contain tremendous lessons for personal growth. Glenn identifies three interconnected factors that influence success: attitude, behavior, and technique. Attitude drives behavior and allows techniques to be utilized. 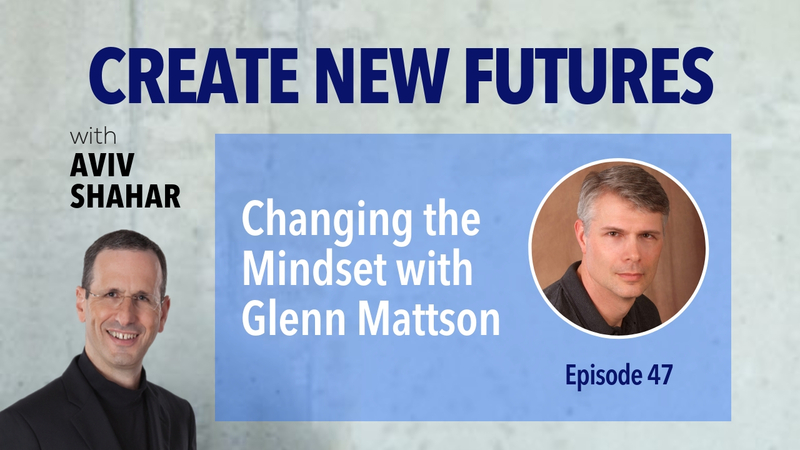 Glenn details the processes he uses to help clients absolve and rescript their negative beliefs to catalyze meaningful change. Aviv and Glenn also broach the affinity addiction and workplace issues that can arise from the need and desire to be liked. They urge listeners to combat this by building self-esteem and working hard to gain respect through leadership, contributions, and values. Finally, Glenn shares his philosophies on growth motivation and the tactics that can lead to positive change in organizations. What problem are you trying to solve? 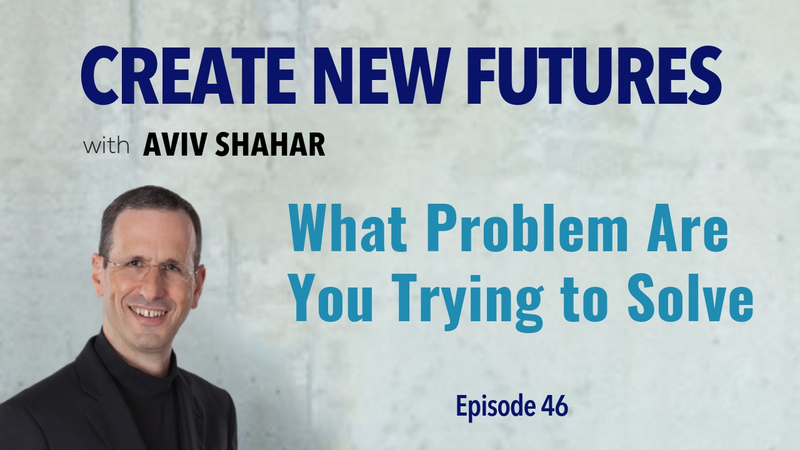 In this episode, we hear a segment harvested from the audible of Aviv’s book, Create New Futures. Aviv uses an anecdotal example of a project manager, Tim, who is worried that his team is not motivated to embrace the company’s expanded mission. Aviv explores with Tim the possibility that he is misdiagnosing his team’s response and, if that is the case, he will have a difficult time implementing an effective intervention. Aviv frames the risks of developing a displaced analysis and the dangers that lie within this conundrum. He observes that intellectual laziness and lack of curiosity are more often the root causes of displaced analysis. Finally, Aviv discusses diagnostic thinking and poses four questions to Tim in order to help him define and implement a solution to his problem. 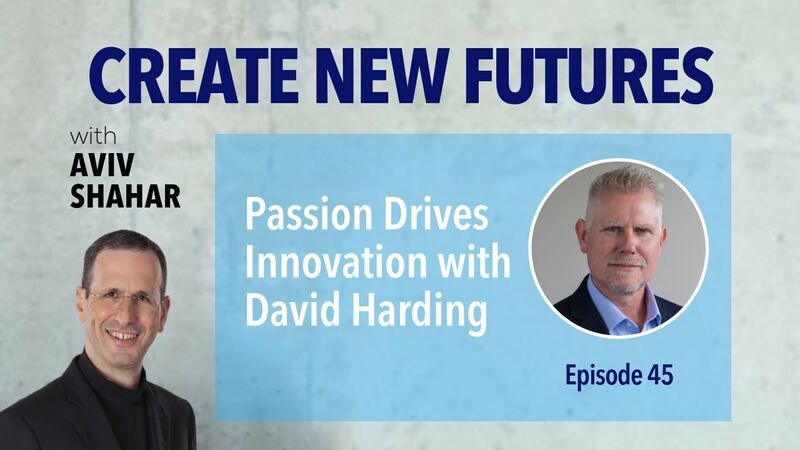 David Harding is an executive with over 25 years of technology leadership experience. David is the Senior Vice President and CTO of ImageWare Systems, Inc. Of his many accolades, David is credited with transforming this traditional software company into a leading cloud and software service provider, with services and products that are licensed and resold by some of the world’s largest corporations. He is an expert in the field of biometric identity management and enterprise security. In addition to his business acumen, David is also a prolific inventor, holding multiple patents with even more pending, and an avid musician. In this episode, Aviv and David cover a variety of technology and business topics, ranging from blockchain to data breaches. David discusses his current role and breaks down the distinction between biometrics and identity management. He cautions about the ever-growing need for cyber security in our society and discusses the outdated nature of passwords. David also touches on government and private sector misuse of cyber security, even going so far as to describe the Equifax data breach as one of the most catastrophic in history. Aviv asks David about how he got his start in the software industry and what advice he would give his younger self. Finally, Aviv and David discuss the importance of passion, empathy, and learning to adapt in the workplace. The Law of Becoming states that you become the object of your focus. 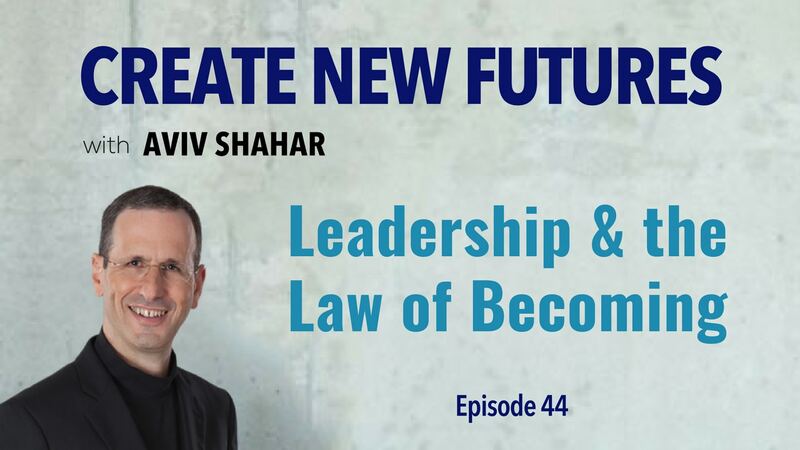 In this episode, Aviv focuses on the importance of Law of Becoming and its impact on leadership. He uses historical examples and anecdotes to stress the benefits of standing for an ideal rather than against one. Aviv also reflects on defining the focus of one’s development and the four laws that govern and impact the results. He warns against the risks of displaced self-definitions, hollow victories and repeated behavioral patterns. By choosing to invest energy towards positive ideals, causes and goals, you can continue to evolve, creating new possibilities and enabling innovative opportunities. Colin Morgan is the founder and host of The Daily Grind Podcast. 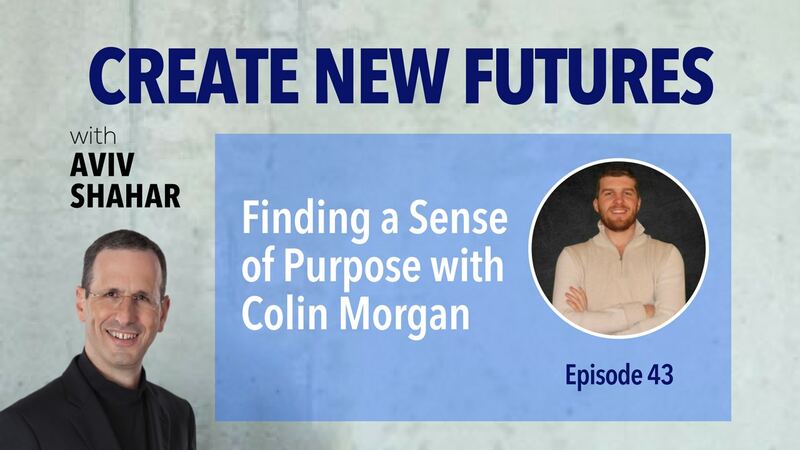 On his show, Colin interviews some of the world’s most successful business owners and entrepreneurs in order to inspire listeners to be the next great entrepreneurs. He explores with entrepreneurs their background, how they began their business, what obstacles and hardships they had to face, and what inspired them to do so. In this episode, Aviv’s interview with Colin Morgan is featured. Colin asks Aviv about what brought and inspired him to do the work that he does. Aviv reflects on the important decisions he made earlier in his life that have brought him to where he is today. He also speaks of his experience in the Israeli Air Force and its impact on his journey, what differentiates great leaders and the importance of personal growth and self-discovery. Colin and Aviv also discuss the topics featured in Aviv’s new book, Create New Futures: How Leaders Produce Breakthroughs and Transform the World Through Conversation. In this episode, Aviv discusses the seven principles for creating breakthrough in business and in life. He explains how leaders can experience meaningful transformations through the process of orchestrated serendipity and why it’s important to understand the motivation that propels us to do certain things. Aviv also describes what he does in his workshops to help leadership teams generate new ideas and create breakthroughs by stimulating fresh perspectives. By disrupting habitual patterns, carving a new conversation space, activating curiosity and new synaptic connections, alternating the foreground and the background, initiating zero-gravity explorations, and elevating the energy field and presence of the group, you can unleash profound breakthroughs, and discover a sense of shared purpose and inspired commitment. 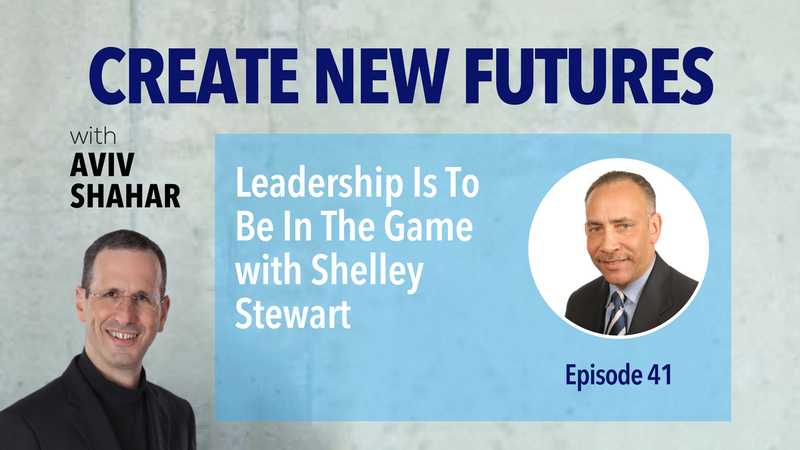 Shelley Stewart is the Vice President of Sourcing and Logistics and the Chief Procurement Officer at the DuPont Company, delivering a portfolio of products and solutions in more than 90 countries. Before joining DuPont, Shelley was Senior Vice President of Operational Excellence and Chief Procurement Officer at Tyco International. 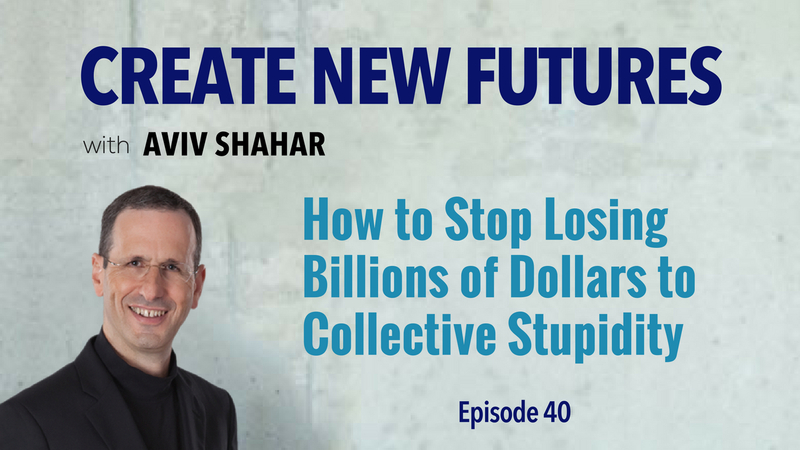 In this episode, Aviv Shahar discusses the distinction between the toddler learning experience and the anatomy of adult learning as well as explains the cause of breakdowns in the adult learning cycle that produce devastating loss of ROI. He also explains how you and your team can prevent the failures of collective stupidity and how collective stupidity can be detrimental to opportunities and the growth of individuals and teams. Aviv advises you to teach and coach your teams how to recognize the three points of learning failure, in order to maximize and realize their transformative potential.